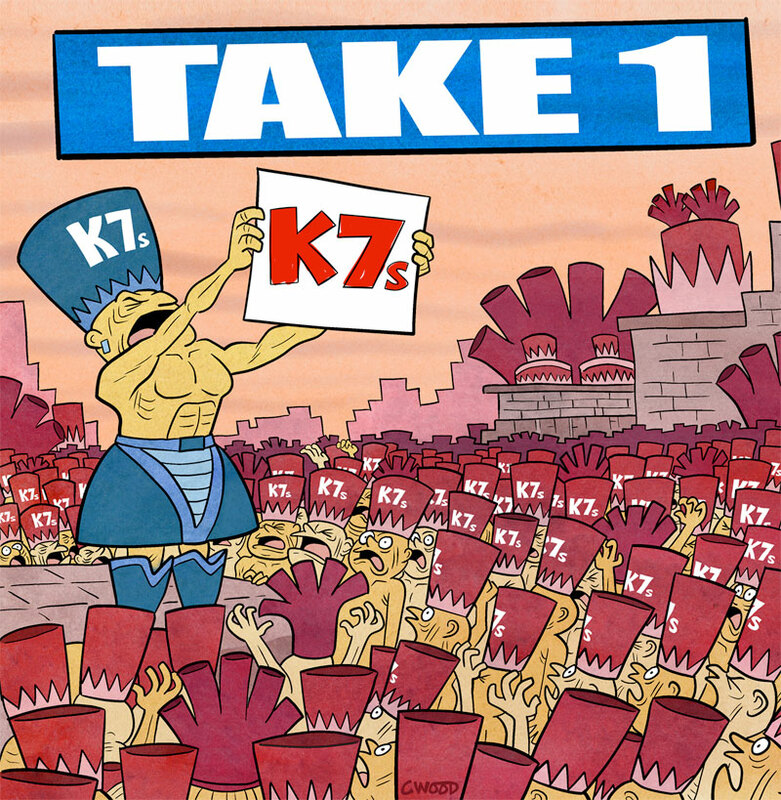 I got to design and illustrate an album cover for K7s, a new band from Spain! This is for their debut album, now out via Rum Bar Records. The band wanted a cartoon. They originally asked for a pizza/beer scenario. 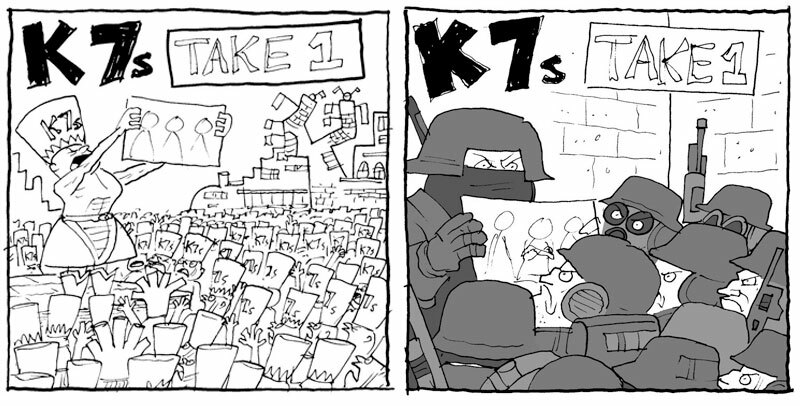 I suggested that we try for something a bit more unusual and submitted two sketches. The idea in both being, a photo or drawing of the band is presented to a group who return a suspicious or unclear reaction. Of course the band liked the more complicated one. Isn’t that always the way! So i worked it up. We changed it so that the band logo was presented, as opposed to band image. I really like the way it came out.